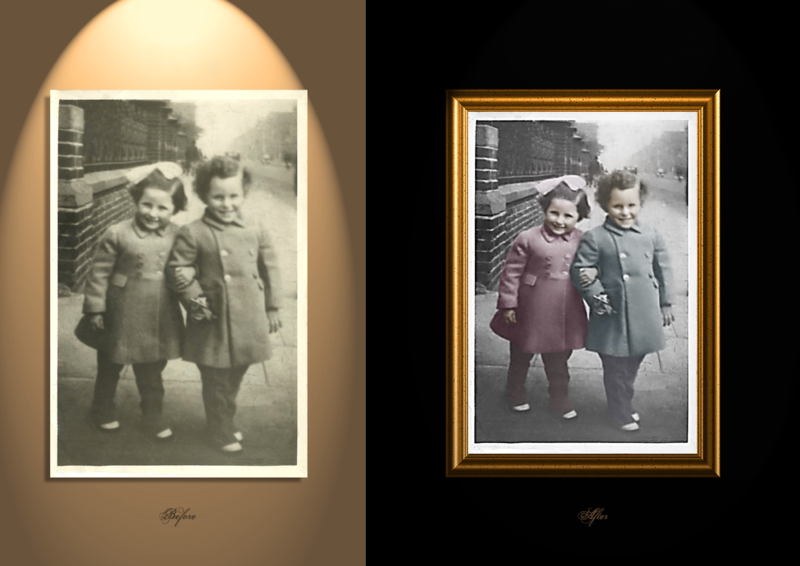 I took an old black & white photo of my father and his twin sister, cleaned it up a little, adjusted the contrast levels, and colorized it. The photo on the left was taken from a cosmetic surgery website. 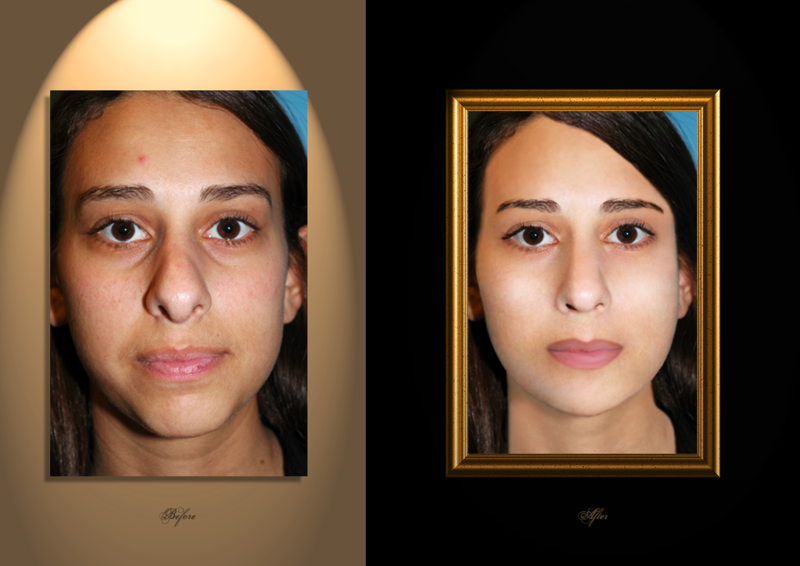 I enhanced the woman's appearance by making her features more symmetrical, removing imperfections, and adjusting skin tone and highlights.